Sometimes, all you have is a few square feet of concrete and something to say. Surrounding you, stifling you, the multi-billion dollar froth of corporate media and mediocrity. What is a reasonable man to do? Traditionally, we take up the pen and press. However, I understand from recent studies that not many of us can actually write with a pen any more, and "press" is one of those words like "carriage return" whose original meaning is now completely lost. This little series is about the current equivalents of the pen and press. What's a minimal yet effective arsenal for the contemporary urban guerilla writer? 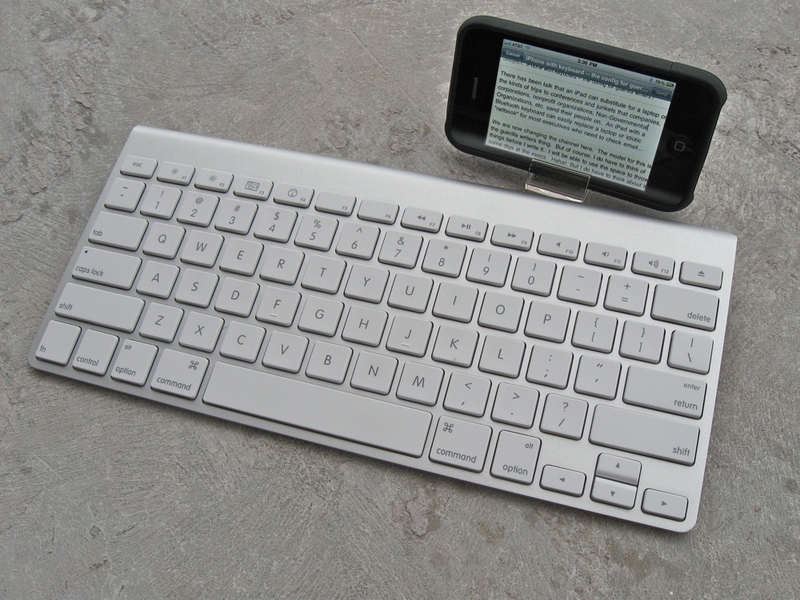 Okay, the iPhone operating system (iOS4.1) now allows you to use a wireless keyboard, in this case Apple's own wireless keyboard. Everyone I've shown these pics to has laughed. It looks weird. But it works, and it works very well. This entire post was written on this configuration. 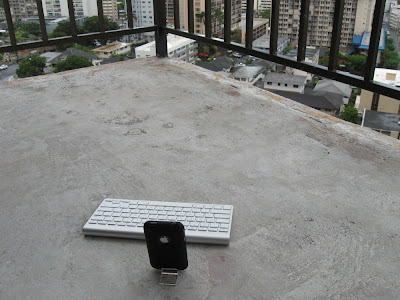 People laugh because it seems to emulate the computer workstation model, but the screen is so small. Keep in mind that the it wasn't too long ago that the standard computer monitor had a display that was only 80 characters across. 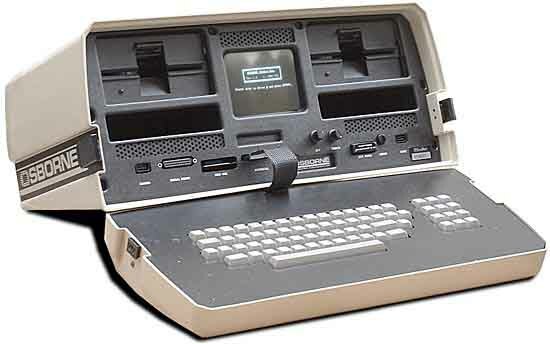 And I remember the Osborn 1 computer with a 5 inch screen with some 52 characters by 24 lines Anyway, I'm typing on the iPhone now and it's completely do-able. The amazing Osborn 1 of the 20th century. It's the addition of the keyboard that makes the combination work for writing. 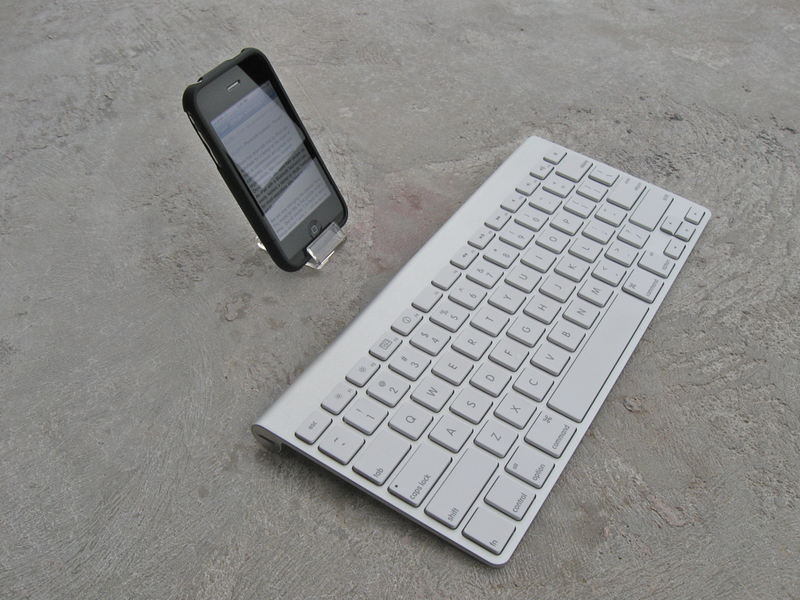 The Apple Bluetooth keyboard I'm using connects very quickly and will "wake" the iPhone if it has fallen asleep from lack of activity. 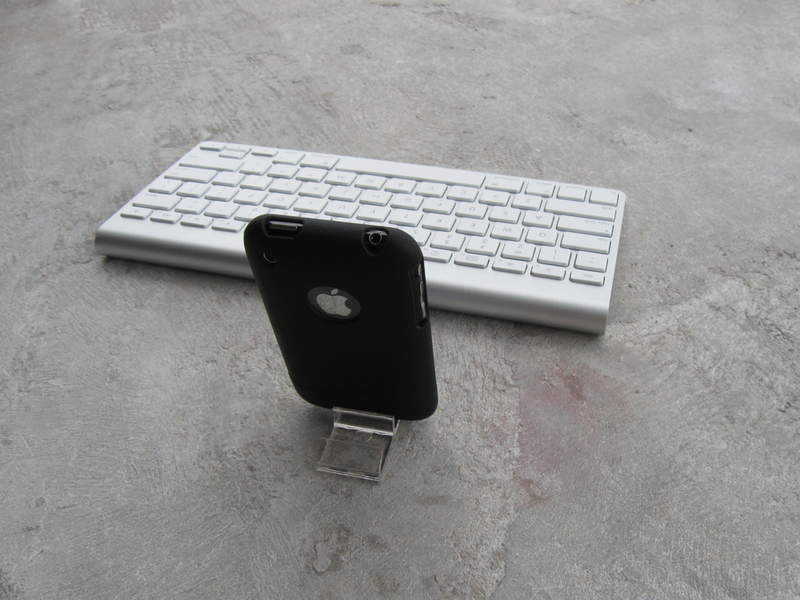 This minimalist keyboard also fits the typical guerilla writer's minimal budget at $69. But almost any Bluetooth keyboard should work. 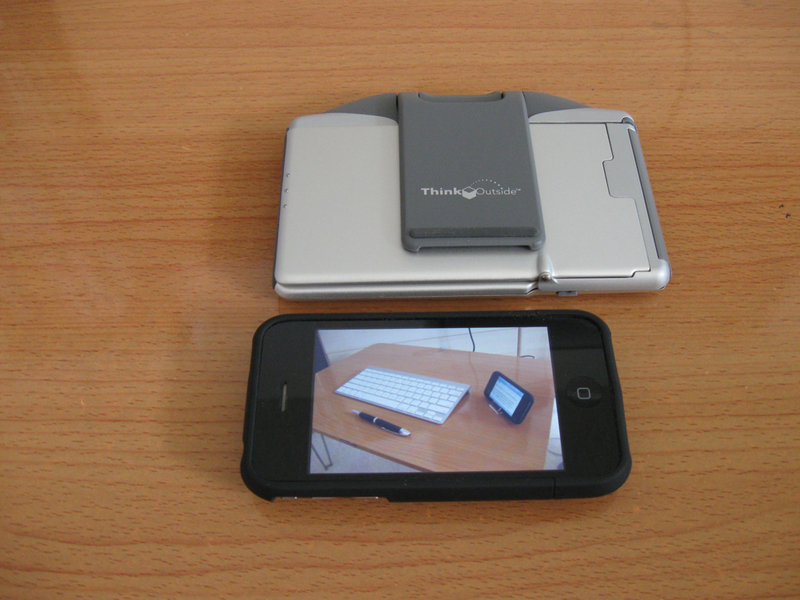 The discontinued iGo Stowaway is even smaller, and it folds when not in use. It connects okay but I haven't been able to get it to reconnect after inactivity without a lot of rigmarole that is rather unseemly for the ultra-competent guerilla writer. Plus it's rather rare and is going for around $160. It folds up. Cool, but $160. Digital consumer electronics is such a wonderland of consumerism that I have to remind myself that I'm not writing about buying cool stuff, but about writing itself. And there is enough writing out there aimed at business interests too. I'm just trying to get the word out to my fellow guerilla writers. So now that you've written something, what do you do with it? That's in the next installment. I think I might have to get one of these, so I don't have to carry my laptop around all the time. 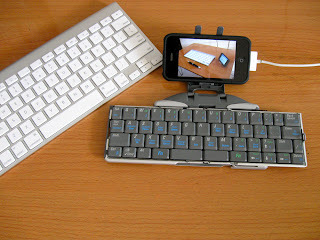 I had this idea quite some time ago, but even now, I havent been able to buy the Ipod touch..so.less the keyboard. I truly wanted to compliment my literally guerrilla like lifestyle while doing research in the amazonian jungle. There is for me one thing still to fill Doug. That is some equally minimalist solar panels or something to charge the betteries where there is no power lines. I got along great with just a Blackberry. Their Wordpress app is fantastic, and the keyboard is actually workable to the point where, after some practice, you can type at a good clips. You can type even faster if you make use of their autotext feature, where you can substitute 2 or 3 letter combinations for frequently used phrases. Alas, I will be losing my Blackberry account, so I will be making more use of my iPhone and iPad in the future. Thanks for the tip on using the wireless Apple keyboard, I have 2 lying around unused and I didn't know you could connect it to the iPhone (haven't upgraded to OS 4 yet).